The situation in the Mojave Desert is different than the other captive marine animal parks. 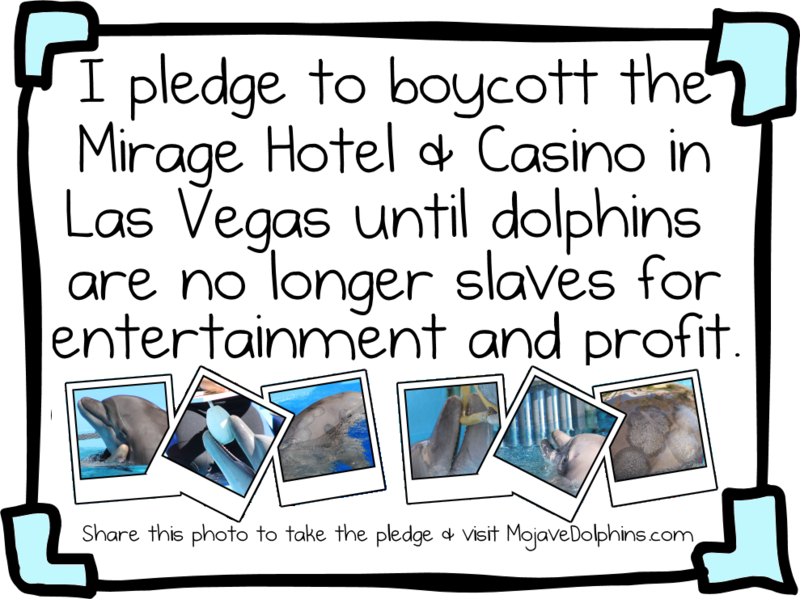 The Mirage Casino and Hotel does not rely soley on profits made from the dolphin show to stay afloat like Seaworld and it’s orca. The gaming industry completely controls this city, with MGM being one of the key players. The most effective tool we have against this business is our wallet. MGM Resorts International own several properties along the strip that we would like for you to try to boycott on your next vacation. Do not hesitate to let them know why you will not be using their facilities while you are in town. 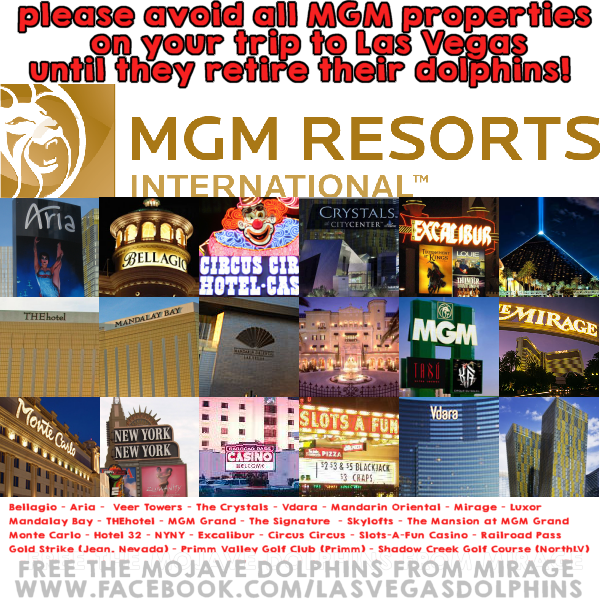 The other properties owned by MGM are Bellagio, Aria, Veer Towers, The Crystals, Vdara, Mandarin Oriental, Mirage, Luxor, Mandalay Bay, Delano, MGM Grand, The Signature, Skylofts, The Mansion at MGM Grand, Monte Carlo, Hotel 32, New York New York, Excalibur, Circus Circus, and Slots-A-Fun.